Shocking photographs reveal that the slurry pipeline for the Ramu nickel mine is already failing – only 18 months after it was constructed and before the mine has even gone into production. The 134km pipeline is meant to transport millions of tons of mined ore every year from the mine site at Kurumbukari to the coast at Basamuk – where it will be processed and the toxic tailings dumped into the sea. But the pillars supporting the pipeline are collapsing – necessitating remedial work which looks to be of similar shoddy nature to the original construction. Two months ago PNG’s Inspector of Mines shut down all work at the Basamuk refinery over health and safety concerns which took the mine owners, MCC and Highlands Pacific, two months to rectify. MCC is a Chinese state owned enterprise and the Chinese mining industry has an appalling health and safety and environmental record. 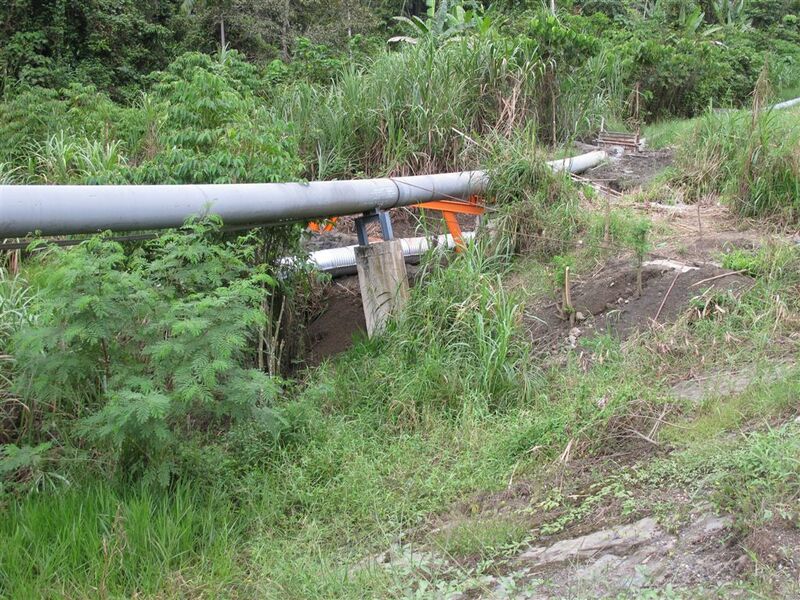 It is maybe time for the Inspector of Mines to go and take a look at the slurry pipeline…. 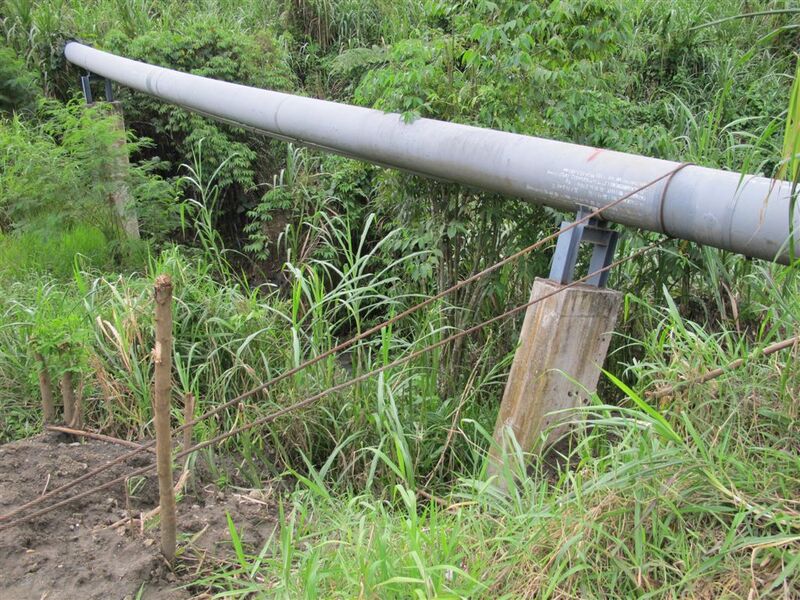 This is clearly a badly engineered section of the pipe system.You just can not expect the Chinese to do anything right in the PNG environs unless they are mico managed. Thank god some one bothered to do their public duty and report this. I tend to agree that the evidence presented above presents compelling evidence that the pipe line needs to need fully inspected and rectified, obviously production could never be expected to start with a pipe line in this condition.